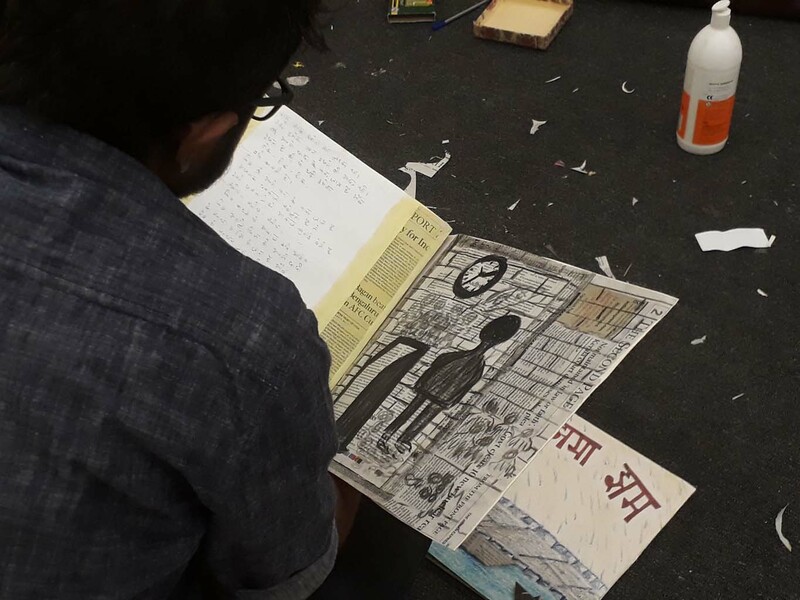 Artist Lokesh Khodke concluded a 4-day Graphic Novel workshop at KNMA, which was organized around the exhibition 'Boxes in the Courtyard', with ArtReach India. 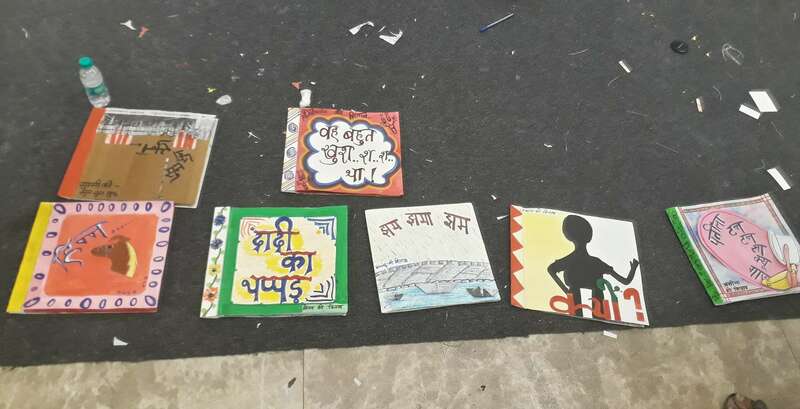 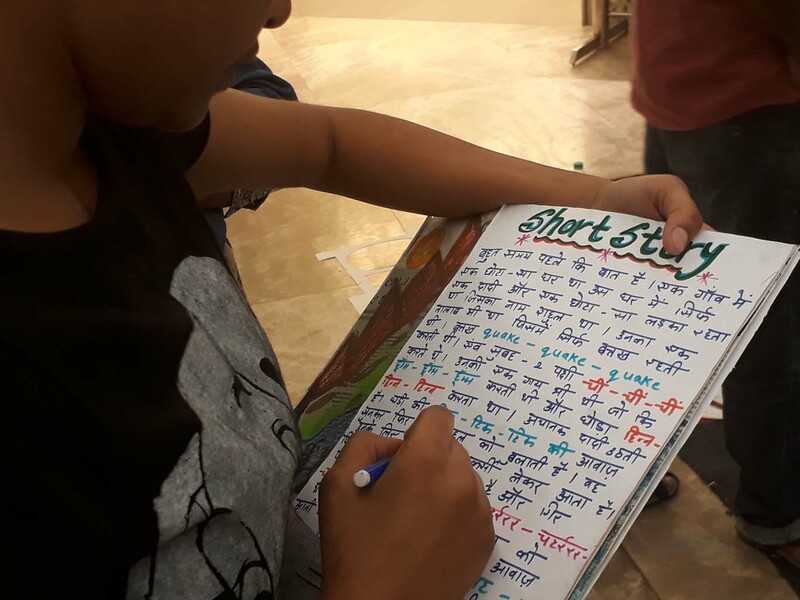 On the first day, the kids from the NGO Salam Balak Trust read through different illustrated books brought by Khodke as examples, interacted with the ongoing exhibition and came up with creating their own poems, stories, performances and illustrations on second and the third day. 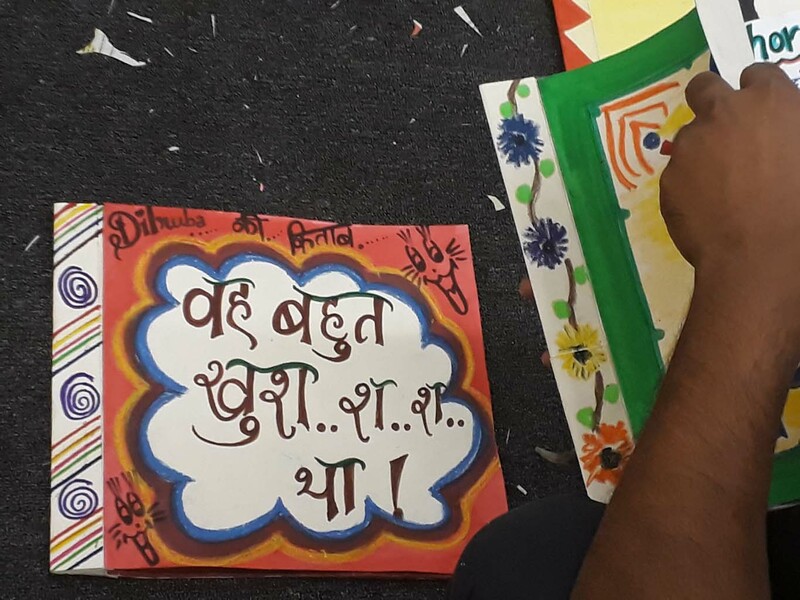 This exercise encouraged kids to imagine sounds inside the museum and allow them to share and develop stories about these sounds. 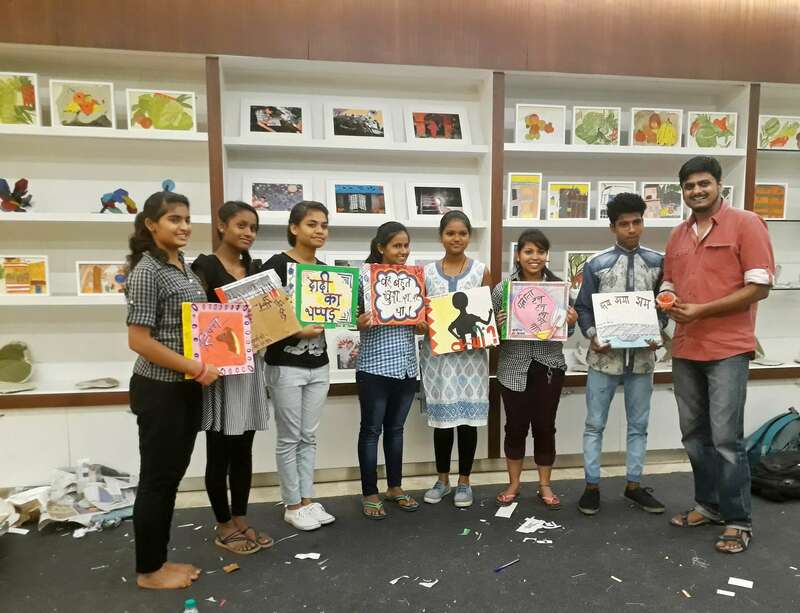 The outcome on the fourth day is each student creating a four-leafed book of illustrations and collages.